During a webcast presentation this morning, Microsoft made a number of announcements around Azure that seem aimed at emphasizing Azure’a openness and how “Microsoft loves Linux, ” CEO Satya Nadella said. They also used the webcast to show how the company plans to continue to compete against market leader Amazon Web Services. He said that 20 percent of Azure use is currently on Linux. “This is something I want to make sure everyone recognizes. 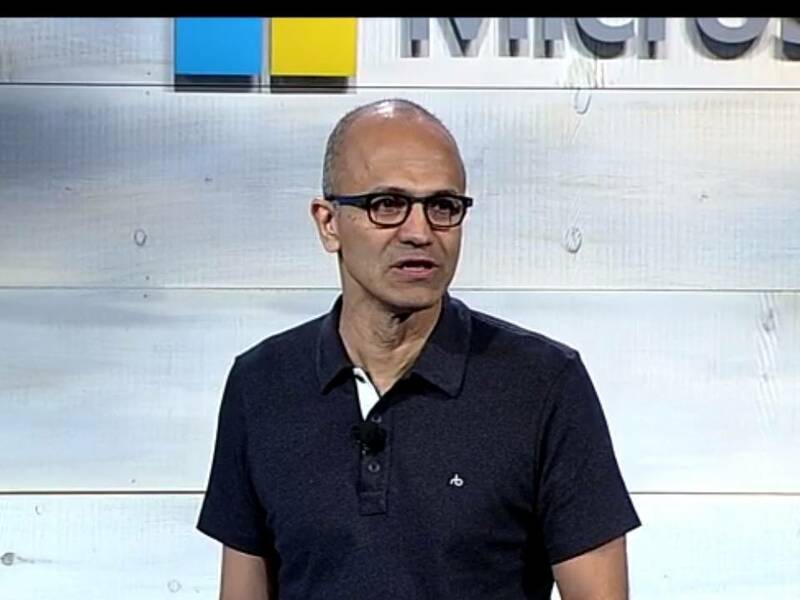 This is not new news,” Nadella said about Microsoft’s support of Linux. He also pointed out that Azure supports a range of database technologies from Oracle and IBM as well as open source distributions of technology like Cassandra, Hadoop and MongoDB. Azure also supports many different languages and frameworks in addition to .Net, including Java, PHP, Python and Node.js. Finally, he noted that Azure services like Active Directory support other cloud services, like Salesforce and Workday as well as Amazon Web Services. Adding to the list are these announcements from today are support for CoreOS, the fifth Linux distribution now offered in Azure with enterprise support, said Scott Guthrie, executive vice president of cloud and enterprise at Microsoft. CoreOS is built around the container model and ships with Docker. Microsoft also announced availability of Cloudera on Azure. Mike Olsen, Cloudera co-founder and chief strategy officer, said he’s been working with Microsoft for about six months to make this happen. “Today, most of our customers have built large infrastructure on-premises to run these systems but they’re increasingly interested in public cloud deployments and in hybrid,” he said. “We believe data is going to live where data is born. If we’re going to realize the vision of unlocking the value of big data, we have to run in the public cloud. We have to be where the data is.” He demonstrated spinning up a 90 core instance of Cloudera essentially with the click of a button. “It’s a remarkably easy and fast way to start Cloudera in the cloud,” he said. However, there’s more to his interest in making Cloudera available on Azure. “One of the most exciting opportunities we see with Microsoft is Microsoft’s suite of analytics and data processing technology,” he said. For instance, Excel is connected to Cloudera Impala, making it easy for users to extract data into Excel, he said. In addition, he demonstrated pulling data from Cloudera into Power BI, Microsoft’s relatively new cloud BI tool. Using natural language search, he showed how a retailer can quickly and easily view graphs that query a huge volume of retail data. Microsoft also made four additional announcements about new Azure capabilities. In announcing them, the executives emphasized Azure’s competitiveness with what they said are the services biggest competitors – AWS and Google. Microsoft will soon have 19 Azure regions globally – more than the other public cloud providers, it said. That sheer scale is attracting businesses like Milliman, which uses 50,000 Azure compute cores for each customer; AccuWeather, which processes 6 billion data requests every day and used to be an AWS user; and Heineken, which uses Azure to run marketing campaigns like Facebook games. 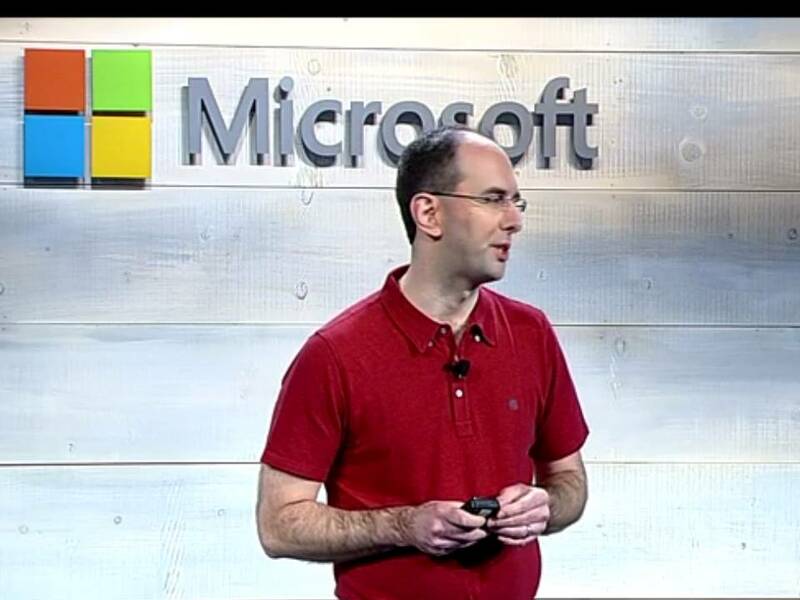 Scott Guthrie, executive vice president of cloud and enterprise at Microsoft, made a number of announcements today. There will be only three vendors in the market able to provide the kind of capacity and functionality these types of customers need: Microsoft, AWS and Google, Guthrie said. “We plan to differentiate from the other two by the level of enterprise grade support and unique hybrid solutions we deliver,” he said. G-series of virtual machines and premium servers. This offering includes the latest Intel Xeon processors with 32 CPU cores, 450 GB of RAM and 6.5 TB of local SSD storage. Guthrie said this is the largest VM machine size available in the public cloud. Azure premium storage. This new storage service will support 32 TB of storage per virtual machine. Azure Marketplace. Users will be able to find services offered on Azure by startups and ISVs and deploy them easily from a new marketplace. General availability of Microsoft Cloud Platform System. This is one that revives an old idea that was either too early for its time or poorly executed. Microsoft began talking about an Azure appliance way back in 2010. It was a packaged piece of hardware and software that would let businesses build a private cloud on premises that was modeled after and able to integrate with the public Azure. But the product didn’t seem to have legs. When asked, Microsoft most often gave vague answers about who was using the appliance and whether it was still selling it. Today, Microsoft seems to be reviving the concept. The Cloud Platform System comprises Dell hardware with Microsoft software that lets enterprises or service providers build their own Azure cloud. Users can manage the private cloud as well as the public Azure cloud from the same Azure portal. The two clouds have consistent APIs, the same hypervisor and “many of the core features Azure delivers,” Guthrie said. General Dynamics, Lufthansa and Mazda are already using the product, he said. These announcements follow news from last week about Microsoft’s support of Docker. Microsoft is building in low level container capabilities. The top layer will be standard Docker. A middle interface layer allows Docker to communicate with the low level Windows container capabilities. The low level container will have similar C Group band Namespaces in Linux. It would provide isolation capabilities in the Windows kernel that are similar to the isolation in Linux kernels. The low level containers are proprietary, built on Windows. The middle layer is open source. There will be an open API to the Windows kernel. “As with any proprietary software you have to place a level of trust in the provider,” said Docker CEO Ben Golub in an interview last week. The new Docker integration means anyone can write an open source app on Windows. “We are writing an open source daemon that will bridge the gap between Windows and Docker,” he said.